Home » Have Your Say » What are your suggestions for election reforms? What are your suggestions for election reforms? The Tibetan Parliament-in-exile, without sharing with the media, has quietly posted an announcement on their website, asking the public to make suggestions on improving the exile Tibetan election system. The post says that a Parliamentary committee has been formed to collect suggestions and recommendations from the public to initiate reforms in the Tibetan election process. The committee was formed on 14 June and started functioning from 20 June. This has come up apparently because of the Dalai Lama’s disappointment in the regional and sectarian fervour, rather than looking at the candidates capability and efficiency, during the last Tibetan elections to elect the Sikyong (political leader) and the members of the Tibetan Parliament-in-exile. Tibet Sun published a “Have your say”: How could Tibetan democracy be more effective? on 25 March. Only two people commented on that. 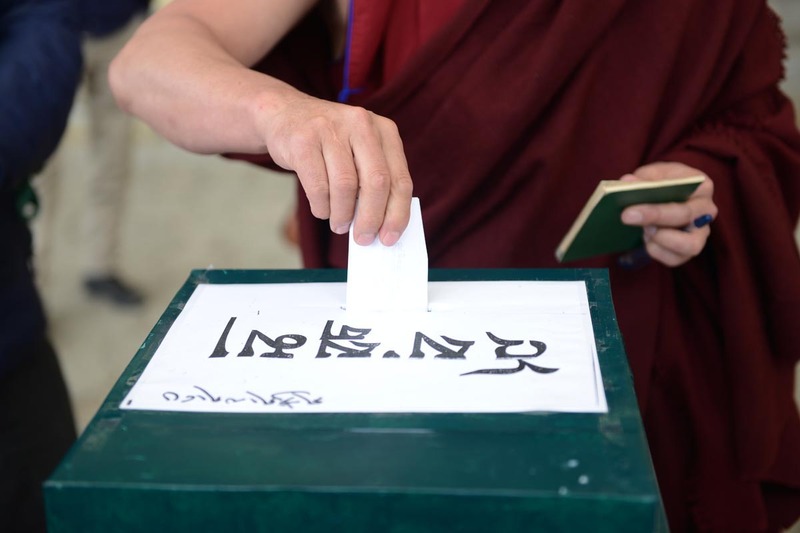 Now you have a chance again to express your views and put forward your suggestions to make the Tibetan election process better and more efficient. The announcement from CTA says that the public can give their suggestions on two issues. The first on “the problems faced during the recent Sikyong and Members of the Parliament.” What the problems are have not been elaborated. The second is on whether or not individuals or organisations should announce nominees for Sikyong and members of the Parliament. Suggestions posted here on Tibet Sun will be printed and brought to the Parliament on the afternoon of 31 August. All the suggestions will be tabled in the Tibetan Parliament, and after debates and judgements of the members of the parliament, new changes/additions will be made. What are your suggestions for improving the exile Tibetan election system? 1) Just do away with the Choelug Chithues and the Two voting rights for the monks. 2) Let’s not have Cholkha and Kyidugs nominating Sikyong and Chithue. 3) Let’s reintroduce few chithue and kalons nominated by Kundun … or have avenues for induction of efficient and dedicated experienced people in the Parliament. 4) Lets introduce postal votings. Will post more tomorrow … thumbs up LW again.